In recent years there have been many high-profile examples of companies around the globe falling prey to cyber criminals with attacks coming in the form of hacking, phishing, ransomware, malware, viruses and more. It’s believed that the cost of cyber crime to the global economy is as much as $400 billion every year, expected to rise to $6 trillion a year on average by 2021. And no matter how prepared you are by investing in software solutions such as firewalls, anti-virus protection and patching and updating your applications regularly – one of the easiest ways for criminals to get in through your virtual front door is via the people you trust most to run your business operations – your employees. It’s estimated that around 59 per cent of cyber attacks happen because of employees. This might be because they’ve not kept a password safe, have fallen for a phishing scam, have opened a malicious email attachment or clicked on a link that they shouldn’t have. By rolling out an education campaign in your organization you are on the front foot – one step ahead of the criminals that want to access your precious data.Training your staff to understand the important role they have to play in keeping your company safe from cyber crime is much more efficient than the costs of repairing the damage after the event. Cyber security training doesn’t necessarily need to be outsourced to a training company for a cost. It’s something that you can do quite easily and effectively in-house as a collaboration between your IT, human resources and communications teams. And a great way to deliver this training is via DeskAlerts – an internal communications software application that many organizations around the globe trust to deliver critical information to their employees. 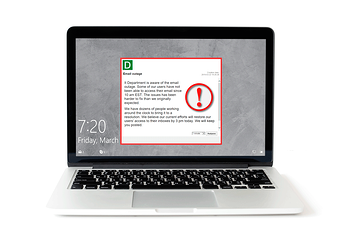 DeskAlerts allows you to send pop-up notifications to every employee’s computer screen in a way that can’t be ignored or minimized. It’s a more reliable communications channel that solely relying on intranet or email. 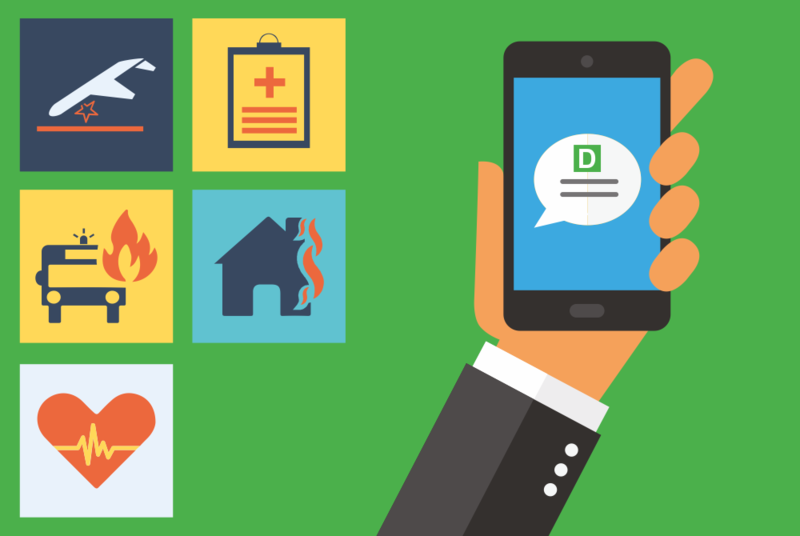 DeskAlerts can be sent to specific groups of users or even just to individuals. You can use it to deliver training modules required of all employees as part of their initiation process into the organization when they start. With DeskAlerts you can send video content or links to more detailed information via hyperlink. Don’t just set and forget your cyber awareness training with information at induction – to create a culture of security it needs to be ongoing. You can deliver hints and tips by DeskAlert notifications on various aspects of cyber security on a regular basis to ensure that cyber security is always front of mind. When there is a known threat that is spreading quickly and causing damage to other organizations, you can quickly alert all your employees with information and instructions so they can be vigilant. DeskAlerts has a module that enables you to send quizzes to employees and they can respond in real time. By quizzing them on cyber security you can determine what their level of knowledge is and what risks need to be addressed.